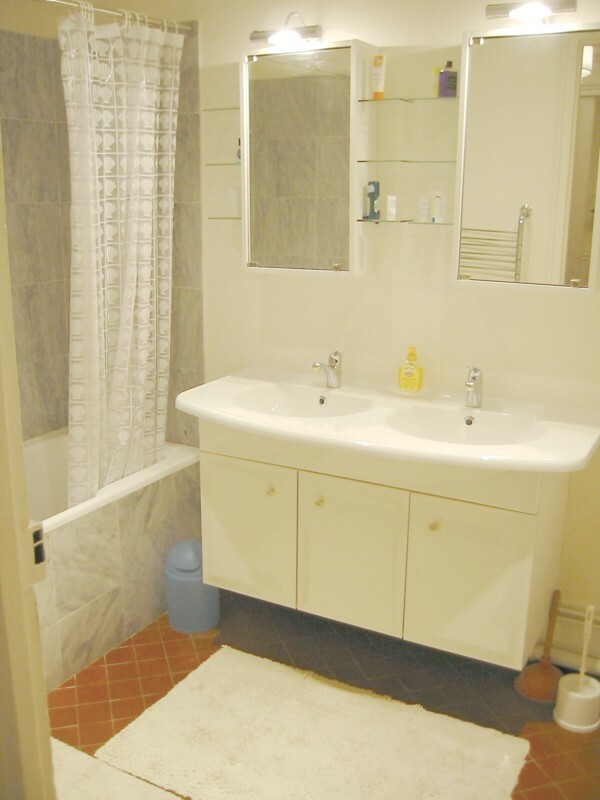 An american-style bathroom with dual sinks, a full-sized tub with shower, and ample space for toiletries. Tile floor and marble shower surround. 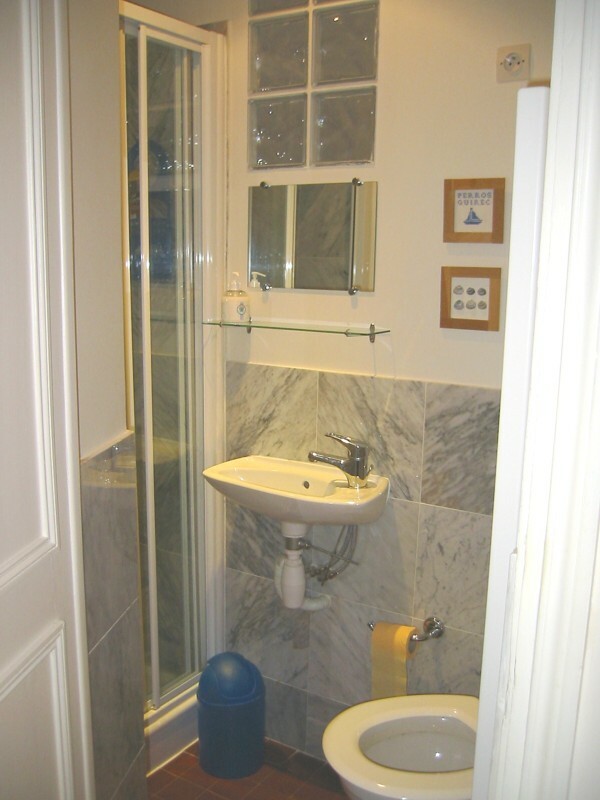 A french-style bathroom with small shower, toilet, and sink. Tile floors and marble surround.